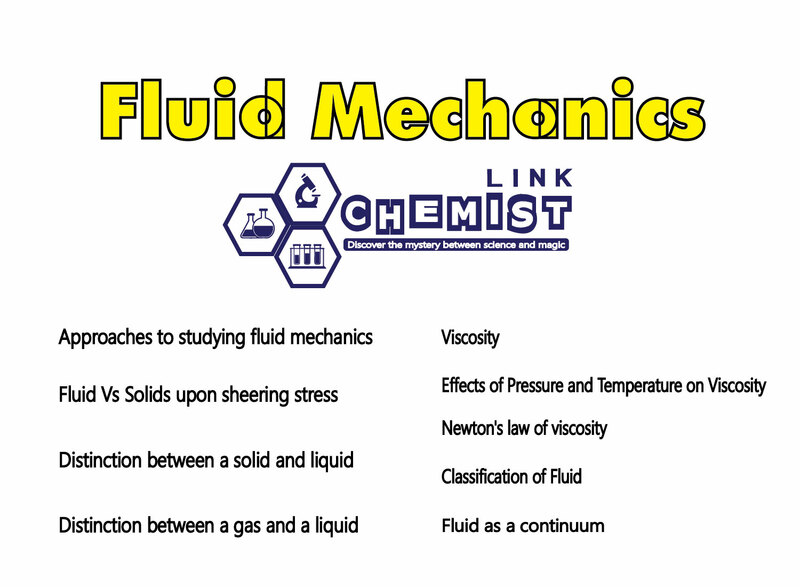 Fluid mechanics is the science of mechanics of liquid and gases and is based on the same fundamental principles that are employed in the mechanics of solids. 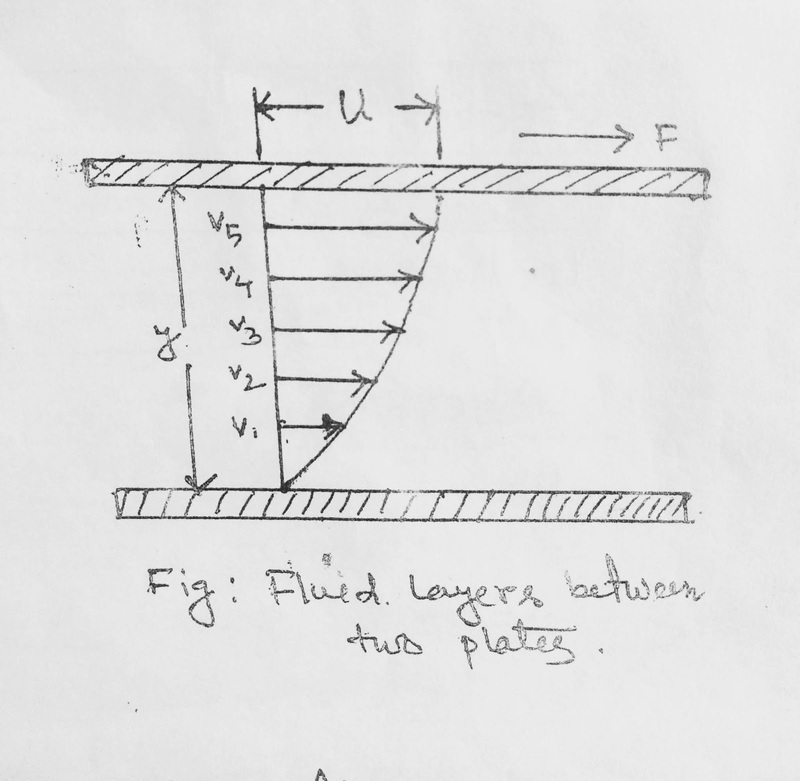 Fluid mechanics is a more difficult subject however because with solid one deals with separate and tangible elements, while with fluids there are not separate elements to be distinguished. 1. Fluid Statics - is the study of the mechanics of fluids at rest. 2. Fluid Kinematics - deals with velocities streamlines without considering forces or energy. 3. Fluid Dynamics - is considered with the relation between velocities accelerations and the forces, exerted by or upon fluid in motion. Using advanced mathematics, we can solve governing equations of fluid motions and obtain specific solutions for various flow problems eg: pipe flows. To measure considered flow fields or uses various visualization methods to visualize flow pattern. For most of the flow problems, we can not obtain analytical solutions. Hence, We can adopt numerical methods to solve governing equations. On the other hands, the cost of experiments become very expensive. Eg: Finite volume method, Finite element method. The main difference between fluid and solid is their behavior when shear forces acting on them. A certain amount of displacement is found when a shear force is applied to a solid element. The displacement disappears as the shear force is released from the solid element. A fluid deforms continuously under the application of a shear force. Hence, we defined a fluid as a substance which must continue to change shape as law ng as there is shear stress, however small, present. Liquid and gases are both regarded as liquids. Fluid is a substance which must continue to change shape as long as there is shear stress, however small present. In other word, any material that cannot sustain a tangential or shearing force when at rest and that undergoes a continuous change in shape when subjected to such a stress. This continuous and irrecoverable change of position of one part of the material relative to another part when under shear stress constitutes a flow. The attractive forces between the molecules of a solid are so large that a solid tends to retain its shape. This is not the case for a build, Where the attractive forces between the molecules are smaller. There are plastic solids which flow under the proper substances and even metals may flow on the high pressures. On the other hand, there are certain very viscous liquids which do not flow reality and it is easy to confuse them with the plastic solids. The distinction is that any solid, no matter how plastic, requires a certain magnitude of stress to be exerted before it will flow. But, a fluid no matter how viscus, will yield in time to the slightest stress. A fluid may be either a gas as a liquid. The molecules of a gas are farther apart than those of a liquid. Hence, gas is very compressible and when all external pressure is removed, it tends to expand indefinitely. A gas is therefore in equilibrium only when it is completely enclosed. A liquid is relatively incompressible, and if all pressure, except that of its own vapor pressure, it removed the cohesion between molecules holds them together so that the liquid does not expand indefinitely. Fluids are composed of molecules in constant motion and collision. To be exact in the analysis, one would have to account for the action of each molecule or group of molecules in a flow such procedure are adopted in the kinetic theory of gases and statistical mechanics but are in general, too cumbersome for use in engineering applications. In most engineering computation, we are interested in the average, measurable manifestation of the many molecules -as for example density, pressure and temperature. These manifestations can be conveniently assumed to arise from a hypothetical continuous distribution of matter, called the continuum, instead of an actual complex conglomeration of a discrete molecule. The continuum concept affords great simplification in analysis and already has been used as an idealization. However, it breaks down whenever the mean free path of the magnitude as the smallest characteristics dimension of the problem. We must abandon the concept of the continuum of favor of microscope and statistical point of view. The viscosity of a fluid is a measure of its resistance to shear or angular deformation. The friction forces in fluid flow result from the cohesion and momentum interchange between molecules flow in the fluid. Viscosity will change with pressure but under normal condition, this change is negligible in gases but viscosity increases with pressure in the liquid. A different scenario is seen for temperature as the temperature increases, the viscosity of all liquids decrease, while all viscosity of gages increases. This is because the force of cohesion, which diminishes with temperature, predominates with liquids, while with gases the predominating factor is the interchange of the molecules between the layers of different velocities. Thus a rapidly moving molecule shifting into a slower moving layer tends to speed up the latter and a slow-moving molecule entering a faster moving layer tends to slow down faster-moving layer. This Molecular interchange set up a shear or produce a friction force between adjacent layers. Increased molecular activity and higher temperature cause the viscosity of gages to increase with temperature. Newton's law of viscosity states that "Shear stress acting on a flowing fluid is directly proportional to velocity gradient." Let us consider, a number of fluid layers, between two parallel plates, separated by a distance y, the lower surface is assumed to be stationary, while the upper one is moved paralleled is it, with a viscosity u, by the applied force F.
Taking two layers under consideration, Layer 2 and layer 3 separated by distance. The velocity of the adjacent layers is u and u+du respectively. For: deformation dθ due to force F the exact distance traveled by layer 3 is estimated to du × dt. That is the rate of deformation is equal to velocity gradient. Shear stress is proportional to the rate of deformation as well as velocity gradient. This is the mathematical explanation Of Newton's law of viscosity. 1. Incomprehensible fluid: Fluid those can not be compressed upon pressure, that is density remain constant. There is no such thing in reality. This term is applied where the change in density with pressure is so small to be negligible. This happens usually with the liquids. 2. Compressible fluid: Density changes here upon pressure. Usually, gages are terms as a compressible fluid. Newtonian fluid: Fluids which follow Newton's law of viscosity that is viscosity which does not change with the rate of deformation or shear stress teems as a Newtonian fluid. Non-Newtonian fluid: Fluid which doesn't follow Newton's law of viscosity that is viscosity changes with the rate of deformation or shear stress. Ideal Fluid: Fluid which has zero viscosity is termed as Ideal fluid. Eg: No fluid is an ideal fluid.